"An apple a day will keep the doctor away." I must have heard this several times a week as a kid. I tell my own kids this more than they probably care to admit. I think fruit is important and sometimes it's boring to just eat a plain apple or banana. I try to come up with creative ways of encouraging the kidlets and their friends to eat a bit healthier. I say a bit, because the dip is, well, a bit sugary. We make our popcorn in a plain brown bag with REAL butter and salt. That's it; nothing more or nothing less. I found a small bag of Halloween popcorn that the kids must have gotten last year hidden behind a box in my pantry yesterday. SCORE, was my first thought. YUCK, was what happened after I tried the first popped kernel. I personally could not handle all of the "seasoning" on the popcorn. I will stick to buying my organic, Amish sold popcorn kernels. 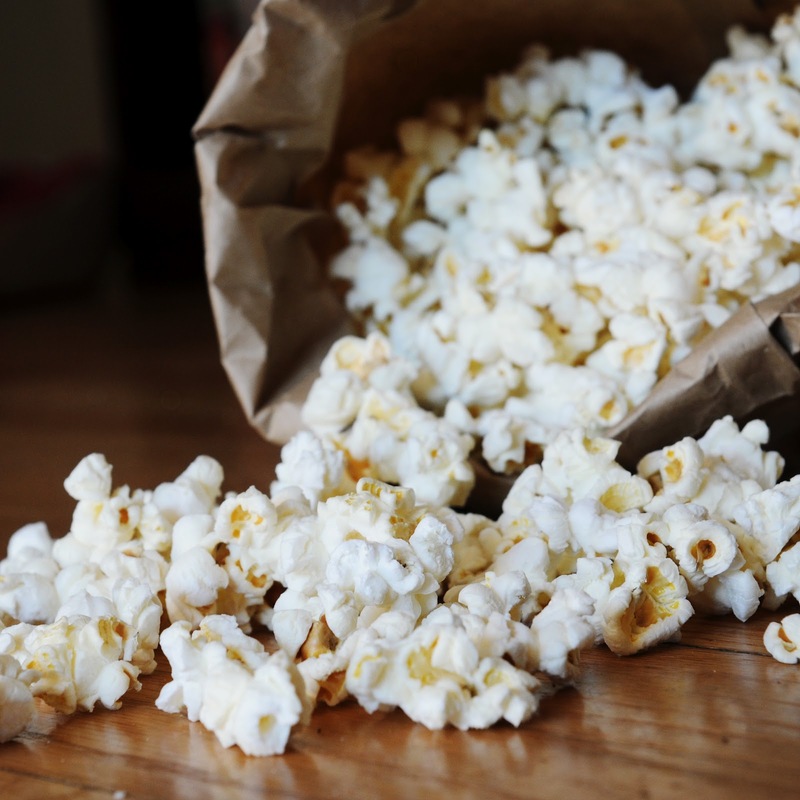 I love the whiteness of the popcorn once it is popped. I can gage the amount of butter and salt. It works for us. This little after school snack has been a treat in our family for a few years. We shared it with the cousins and now they love it too. The apple is crunch, the dip is soft. 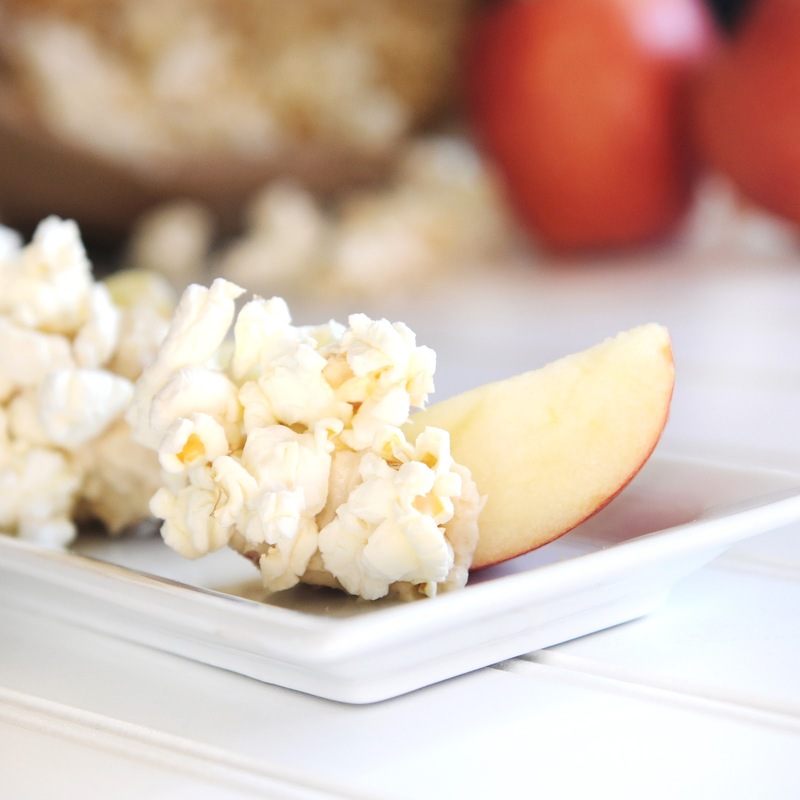 The apple is sweet and the popcorn is salty. With this combination you will soon find yourself looking into the bottom of an empty bowl. It's pretty dang good. I recommend it. ENJOY! 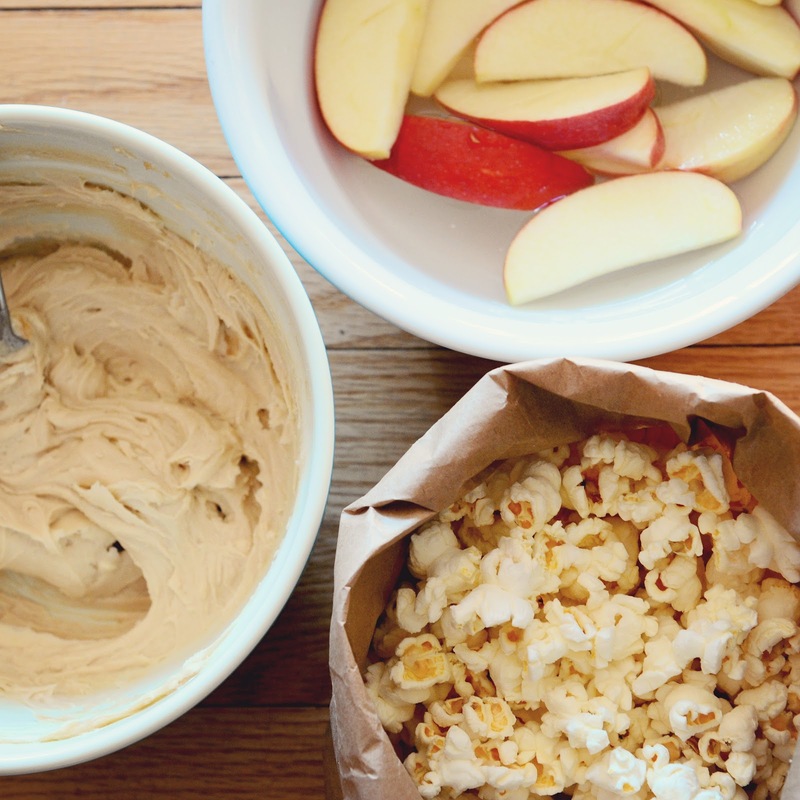 You will need apples, popcorn and dip. 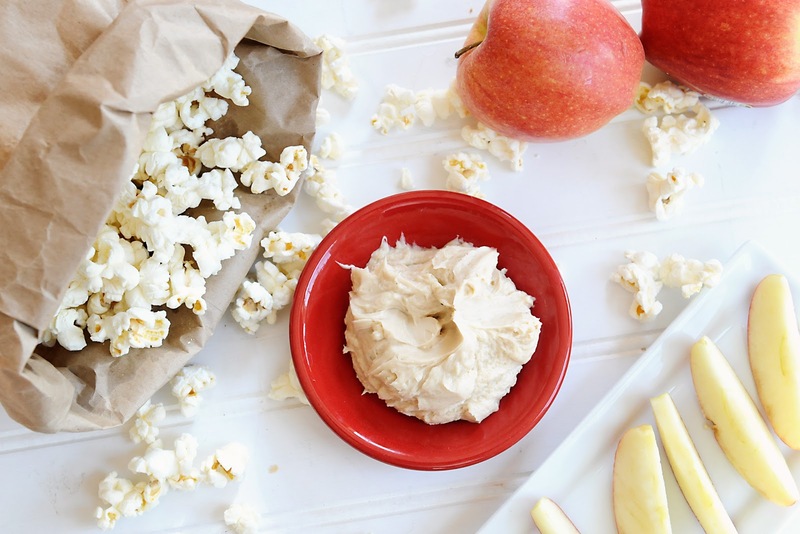 Take apple wedge, dunk into dip then roll in popcorn. DONE.